Best Mentaiko Pan in Tokyo? My favorite Japanese bread is mentaiko pan. Mentaiko is pollack roe that has been cured in salt and seasoned with dried red chili peppers. At home we love mentaiko raw with a bowl of rice. 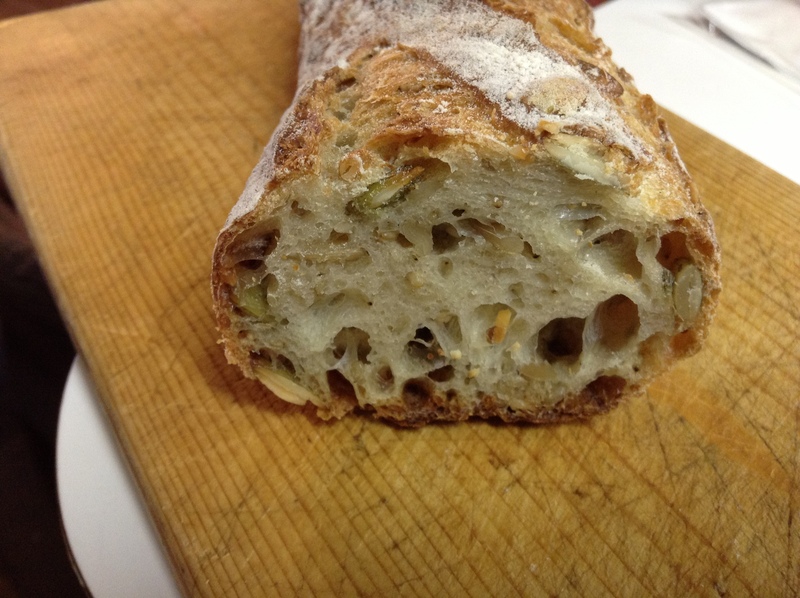 It can be toasted on the outside and left raw inside for an umami-rich dish with sake. 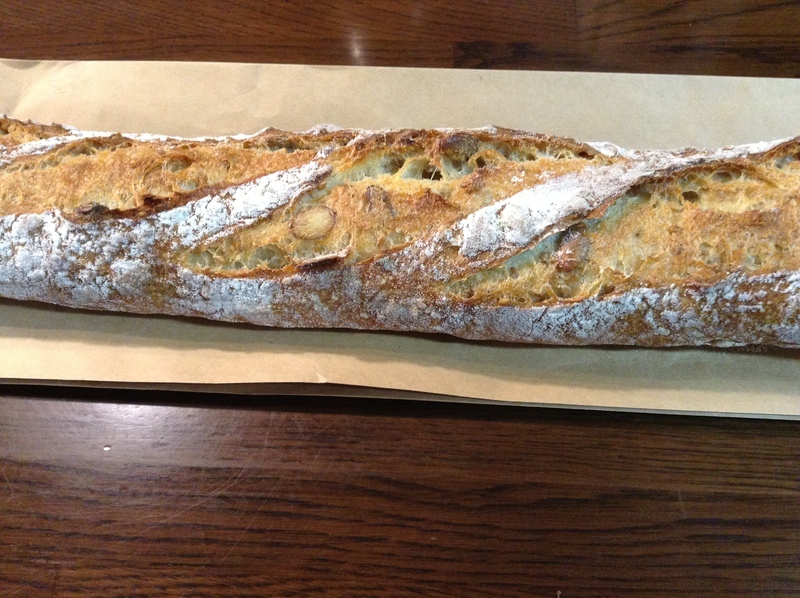 The Japanese have brilliantly come up with putting into a small baguette with some butter and toasting it. Whenever I go into a new bakery it is the first thing I look for. Not all bakeries in Tokyo have it, so if you come across it, I recommend highly picking one up. My commute into Tokyo takes me through Shinjuku station. The South Exit area has been under construction for a long time and has recently opened up under the new bus terminal. For me, this is the best mentaiko pan I have come across in the city. It opens at 8 a.m. and this is a great way to start the day. Le Bihan is originally from Bretagne and dates back to 1913. It has many more stores in the Kansai region. Le Bihan, also has branch in Shinjuku Odakyu depachika, Ikebukuro Seibu, and Kita Senju Marui. 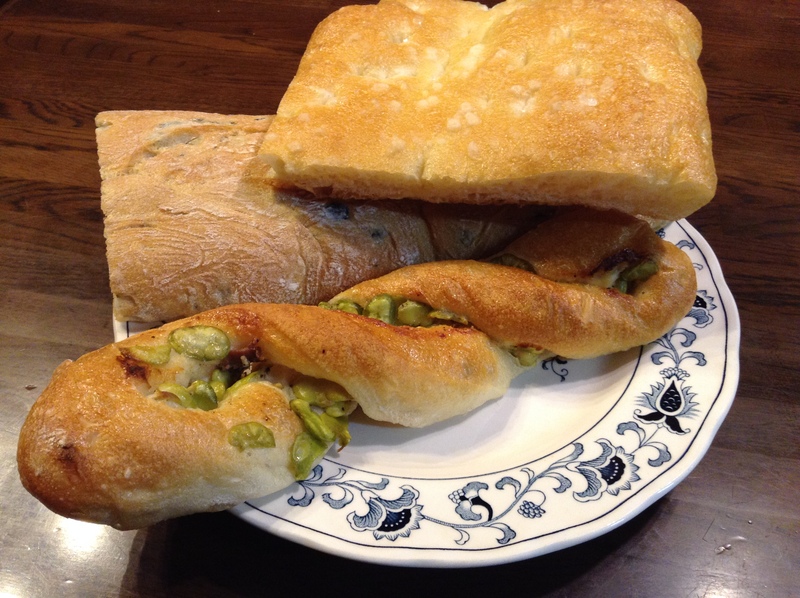 The Japanese have a love for “oyatsu pan” or snack breads that can be either savory or sweet. Pan is from the Portuguese for bread. The bakeries here are called pan-ya. At the bakeries customers pick up a tray and tongs and carefully peruse the bakery putting their selection on the tray before paying. One popular oyatsu pan is curry bread. Savory curry stuffed into a soft dough that is often dipped into panko bread crumbs before being deep-fried. 24-hour convenience stores excel at offering food at a good level. We recently did a tasting of convenience store curry pan. At home, we spritz it with water before reheating in the toaster oven. Our favorite was the cheapest one, from Family Mart. It had a nice flavor of curry that wasn’t too complicated. The 7-11 curry pan was very sweet, surely from many vegetables like carrots and onions. The two Lawson curry breads were nice. The Spice curry pan is made from 30 different spice and definitely had more complexity than the rest. The Lawson beef curry pan left me asking, “where’s the beef” (which may date me). Regardless, be sure to try a curry pan when you are in Japan. It’s a quintessential snack bread. If you are lucky, the sign will say 焼き立て or 焼きたて, for hot, out of the oven. 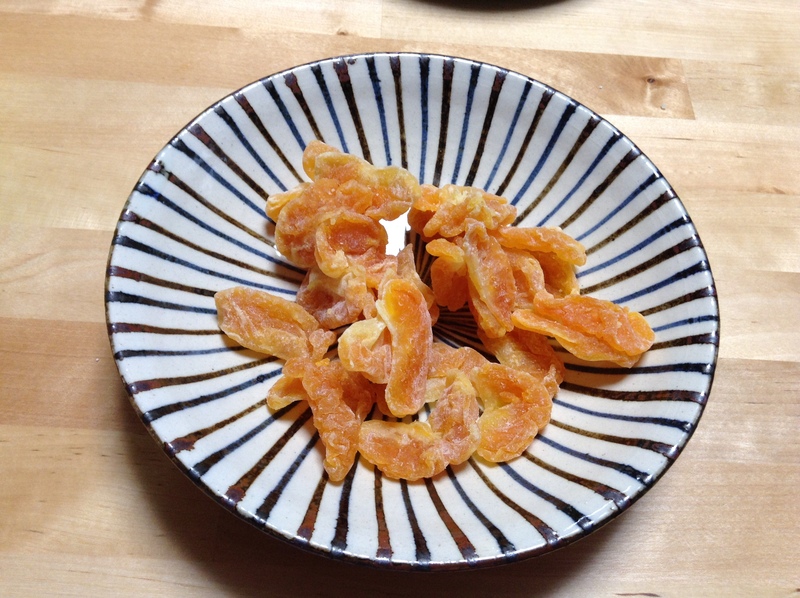 A friend who is the editor of a food magazine introduced me to these addictive dried mikan. These are sweet and tart at the same time. Tomizawa is a chain found throughout Tokyo. I come here to buy nuts, flour, dried fruit, and much more. If I am baking this is the first shop I go to as they have yeast, fondant, you name it. The dried mikan are great for hiking, traveling, and a healthful snack at home. The main shop in Machida is fun, if you find yourself out there, but not worth a special trip as there are big shops in Tokyo. Shinjuku Keio department store has a big shop on the 8th floor. There are also small shops at Shinjuku Takashimaya, Coredo Muromachi, and Shibuya Toyoko Norengai depachika.